What Is VPN? Do You Really Need It? You may not know as many secrets as Edward Snowden or be worried about Uncle Sam reading your Facebook posts, but if you’ve ever checked your email over a morning latte at Starbucks, tried to watch your favorite television show on your laptop while vacationing in a foreign country, or downloaded songs for your MP3 player, you probably need a VPN. So, what is VPN? 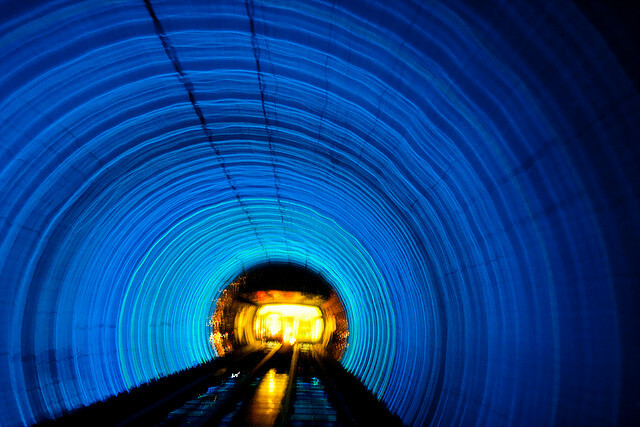 A VPN, or virtual private network, works like a “tunnel, using a private network to convey information across a public network or “road” like the Internet, while protecting both the privacy of the user’s information and the user’s identity through encryption, dedicated connections, or a combination of the two. Large companies with employees who travel or work from home or companies who have offices in multiple locations use VPNs to connect their workers and offices to one cohesive network, while securing sensitive or proprietary information. For individual users, the benefits of VPNs include securing their data while using public Wi-Fi networks, protecting their identity while surfing the web or downloading files, and gaining access to entertainment programming when they are out of their normal local area network (LAN). The easiest way to explain how a VPN works is to envision a tunnel: you and your computer are on one side of the VPN “tunnel” and your VPN provider/server is on the other. If someone looks at the tunnel from the outside, they won’t see any traffic, even though there may be cars traveling in both directions. Similarly, when your Internet communications are sent or received through a VPN, they are protected and seem invisible in the VPN “tunnel”. In addition, your identity is concealed as any snooper would only see the IP address of the VPN provider, not the user. In fact, VPN systems are classified by the tunneling protocols they use to secure and encrypt traffic. Think of tunneling as packing material. Your information packet is placed within a VPN packet before transmission. If a hacker attempts to view your information, all they will see is the protective outer packet of encrypted data. Many VPN's also have a message integrity feature that alerts them of any attempts to tamper with transmitted data. Most VPNss allow only authenticated access via passwords, biometrics, two-factor authentication or cryptographic methods: the user logs in to a VPN client on their computer, enters their authentication information, and both the computer and server verify the identity of the user. After authentication, all of the user’s Internet communications (both sent and received) are encrypted. LAN-to-LAN connects hundreds of workers in multiple locations. For businesses, remote access allows employees to access their company's Intranet from home or while traveling, while site-to-site and LAN-to-LAN VPNs make it possible for workers in offices spread across the globe to share information on one corporate network. Individuals use remote-access to safely surf the web on public Wi-Fi, download files anonymously, and access entertainment programming when they are out of their local area network or LAN. VPNs are fast, dependable, and portable, but the single primary reason to use a VPN is security. It protects both your identity and your information on a public network. For businesses, it is also much more cost effective than leased lines and offers scalability, so that as your business grows, you can extend your VPN without replacing the entire network. Whether you need to protect your information from corporate raiders or protect your privacy from Internet snoopers and identity thieves, a VPN offers both anonymity and data security. And, with the increasing popularity of mobile devices from smart phones to tablets, using a VPN rather than a public network keeps your personal information secure from prying eyes. Q: Do you log data? Q: What are the corporate and exit locations? VPN providers are subject to the laws of the country in which they operate and many countries have strong surveillance laws in place. If you are concerned about privacy or government snooping, you may want to choose a provider outside your home country. Similarly, if you need to circumvent a local restriction to watch television in a foreign country while you’re traveling, you’ll need to be sure your VPN provider has servers in that country. Q: Is anti-malware/anti-spyware bundled or do you offer that option? Using a VPN does not make you totally invulnerable to viruses or Trojans so you still need to be careful about what you download. Many providers do include anti-malware scanners. Q: Do you offer a mobile application? Whether you spend money on a VPN subscription, build your own network, or use a free provider, most users will need reliable service on both desktop and mobile devices. Trusting your VPN provider is imperative as they will have access to your data. There are several free VPN providers, and good subscription services are available for under $10 a month. Choose the provider that has the best features and privacy policies for your usage. Q: What types of VPN and what protocols do you offer? Getting technical specs, particularly those related to specific user needs, is especially important for companies that are outsourcing their VPN to a provider. Find out if the provider offers both intranet-based and extranet-based site-to-site connections, as well as remote-access, and make sure that as your business grows, you will be able to add and extend services without replacing the entire VPN. Examine the protocols used: for example, if you need something that works on cross-platforms, you will want to look at OpenVPN. If you are a traveler or casual Internet user who at times needs basic security on public networks and you are not worried about data logging, a free VPN provider may be fine. If you are concerned about data logging, or need a reliable and fast connection in as many places as possible, a VPN subscription is the better choice; however, some of them do log data as well, so be certain to read the Terms and Condition and the Privacy Statement carefully. HideMyAss: Most popular, largest amount of IP addresses. Private Internet Access: no log, inexpensive, fast. PureVPN: An alternative to HideMyAss, discounts available.